​In March 2013, a student at the University of Central Florida (UCF) was poised to carry out a gun attack in Tower 1, a dormitory that hosts 500 students. He planned to pull the fire alarm, then start shooting his classmates as the building was evacuated. When it came time to carry out the attack, however, his weapon jammed. As responding officers closed in, he took his own life. While security cameras at the Orlando-based university captured the incident, first responders were unable to view video during the situation because it was hosted on a local server and getting to the recorder would possibly put them in harm’s way. Similarly, during the investigative period, the building was locked down, and the video could not be accessed. In the immediate aftermath of the active shooter situation, it took more than eight hours to get in touch with the person in charge of the video management system for the building, says Jeff Morgan, director of security and emergency management for UCF. The sworn campus police department ended up having to confiscate the local network recording device as evidence. Strategy. The department decided to hire a subject matter expert from the security world–someone who could bring in a mix of technologies that were scalable for the growing campus and user-friendly. 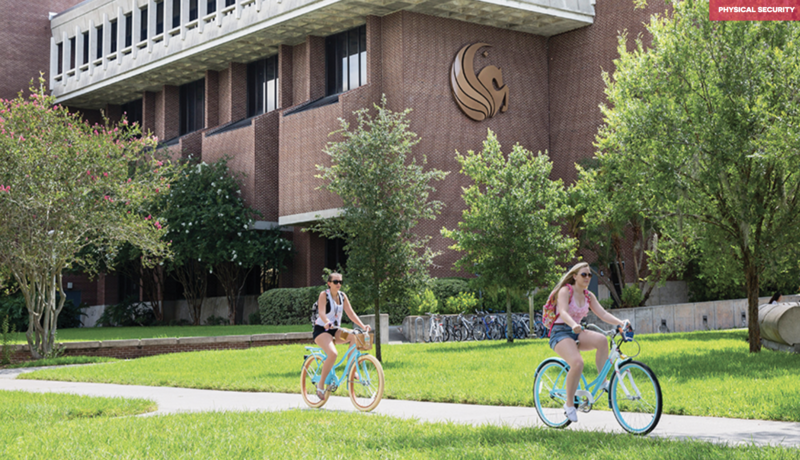 In December 2014, UCF hired Joseph Souza, CPP, PSP, as its assistant director of security. Souza says he was immediately interested in integrating the university’s disparate video systems into one platform.